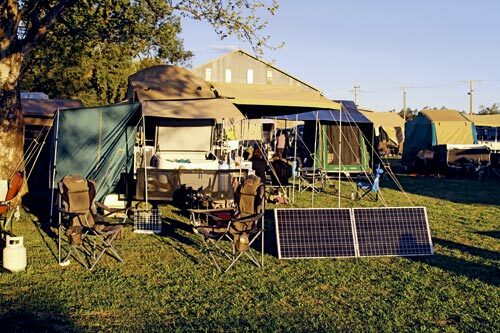 Five years ago when I first visited a CamperTrailers.org national gathering there were about half-a-dozen campers with solar panels among the 60 or so attending. They were remarkable enough to photograph. There were, in fact, more in the reseller’s trade display than in the rest of the campsite combined. Solar panels were expensive and the technology was poorly understood. Few campers appreciated the difference between types and the choice wasn’t that wide. Today, however, you can expect to see a forest of panels wherever RVers meet. Many tourers understand how they work and the choice seems endless. And then there are the prices. 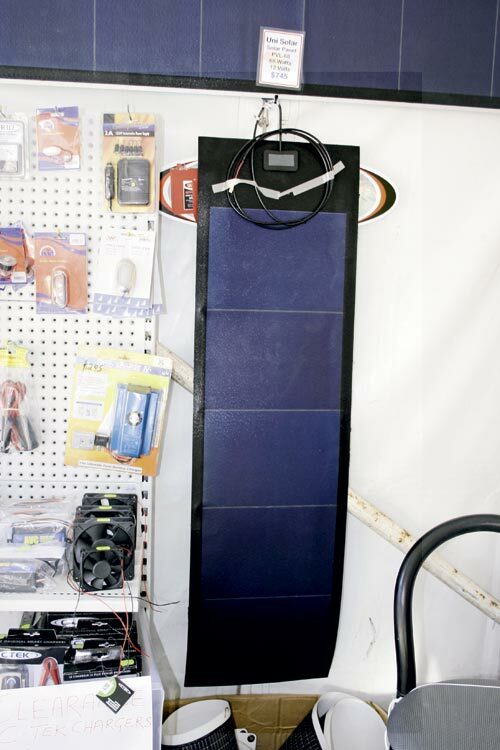 As recently as three years ago 80W panels retailed for as much as $600 and were available only at specialised solar panel outlets. 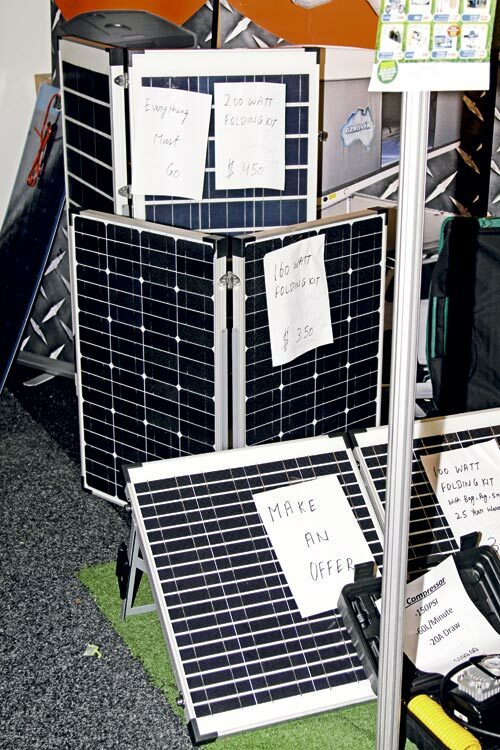 These days you’ll find panels selling for a little more than a third of this price often at stalls at 4WD and camping shows. So why are there so many cheap panels? And where do brand-name panels fit into the picture? 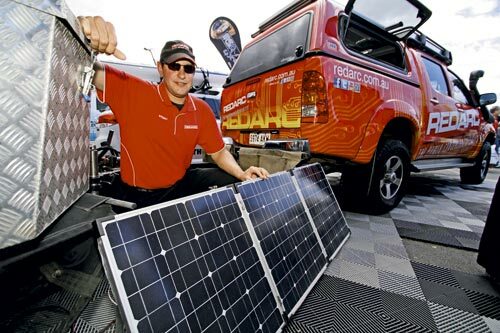 Spokesperson for Redarc, Stuart Peddle, said there are many factors that contribute to the performance of a solar panel. “You really do get what you pay for,” says Stuart. “Solar cells are rated according to their output during manufacture. The higher-end cells with the highest output sell for the highest price and go into the highest priced panels. “Cells are produced as large ingots of silicon. These are sliced into wafers and each wafer is tested. The sections closest to the centre of the ingot are the best and they are graded down from there. The purity of the cell is another factor. “The more pure it is the more efficient it will be and the higher its output,” he says. 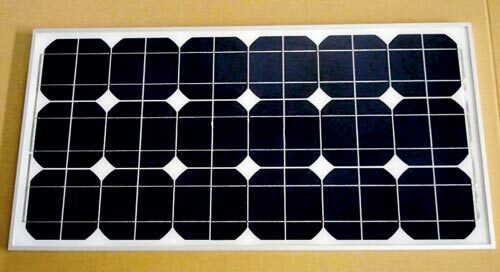 How a solar panel is packaged will influence the price: the design of the frame and hinges, the quality and thickness of the tempered glass, the integrity of the junction box and its connections, the thickness of the cables and the accessories bundled with the kit. Ideally, the regulator should feature maximum power point tracking (MPPT). 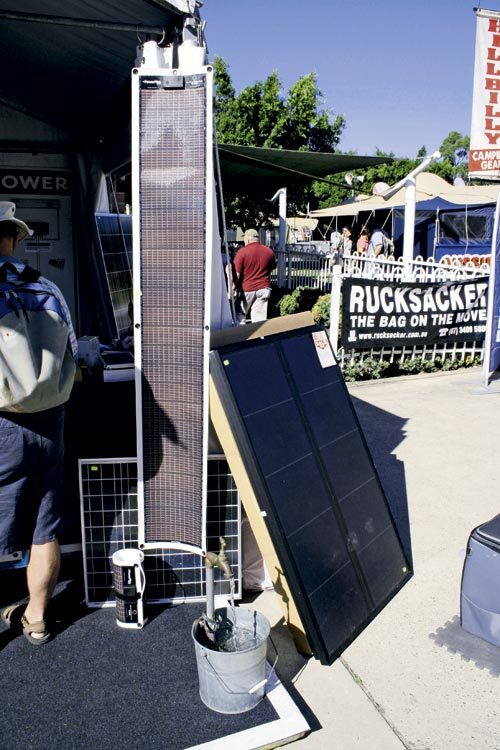 When used with a non-MPPT regulator, a solar panel may supply around 70 per cent of its rated output. A quality MPPT regulator will enable the panel to achieve its true rated output, achieving a gain of up to 40 per cent. Again, price is a key point. Some low-cost MPPT regulators fall short of this. 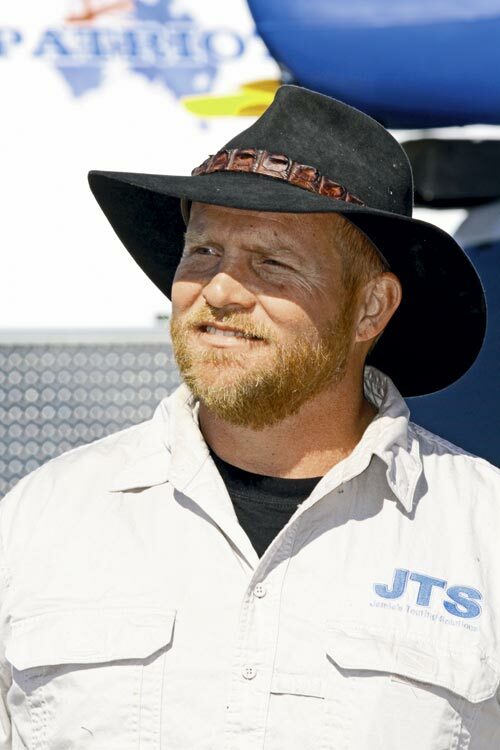 Jamie Hazelden of Jamie’s Touring Solutions has seen the impact of shortfalls caused by regulators first hand. Jamie also likes the Kyocera panel. 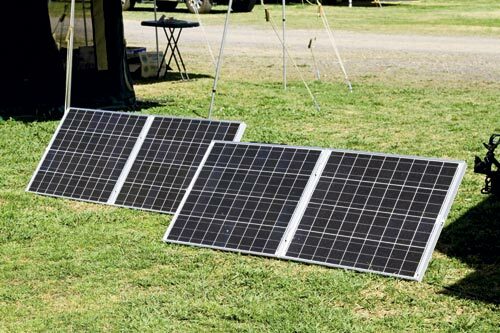 “The frame is screwed together, the multi-crystalline PV cells are made from good-quality silicon and they are well engineered in every respect,” he says. The choice of regulator isn’t the only thing that impacts a panel’s performance. Some cheap panels will output as little as 70 or less per cent of their declared output in addition to regulator inefficiencies. 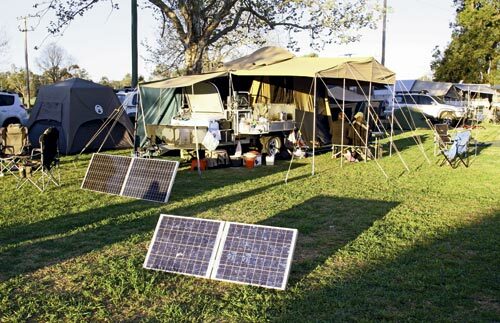 Sydney camper trailer manufacturer Great Aussie Campers tested two widely available solar panels in early 2012. The low-cost model was rated at 120W but put out only 80W compared to a 120W Projecta panel, which performed at its stated rate. The 33 per cent shortfall on the low-cost panel occurred on the same day with the panels set up side by side. The panel may have been cheap but so was its output. Jamie said shortfalls on stated outputs are common. “People bring me panels they’ve bought and without even testing them I can tell there’s no way they will output the stated power, simply by looking at the dimensions. “This frequently happens with panels purchased through eBay,” he says. When purchasing a solar panel do the maths first. Ohm’s law of electricity states that Power (W) = current (A) x voltage (V). If you insert the stated figures on the panel into the equation, W should equal AV. Some cheap panels overstate the power in watts as this is the criterion that many people read. Jamie prefers a modified version of this: W divided by 16 should approximately equal A. 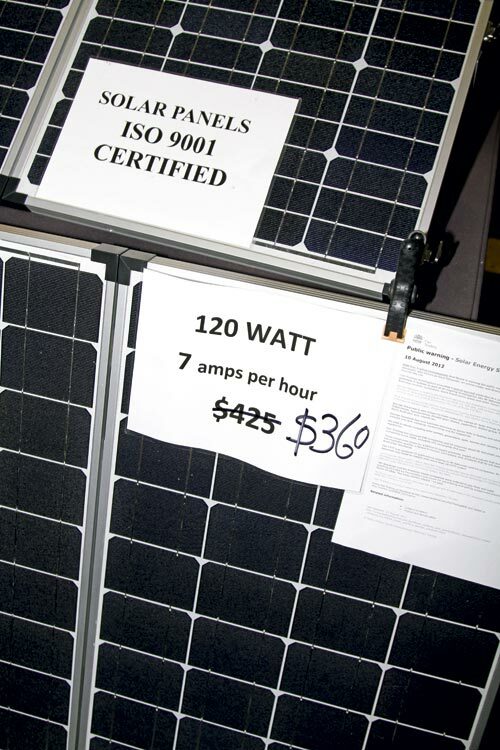 Warranty is another important consideration as solar cells degrade with age. 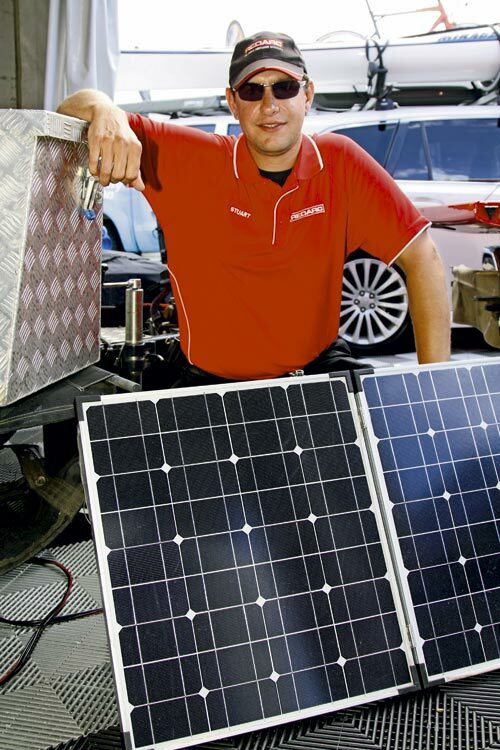 Redarc warrants its flat mono-crystalline panels will output 90 per cent of the original rating after 10 years and 80 per cent after 25 years. Low-quality panels may degrade faster resulting in a reduced effective lifespan, especially if the panel had a shortfall on the stated output to begin with. 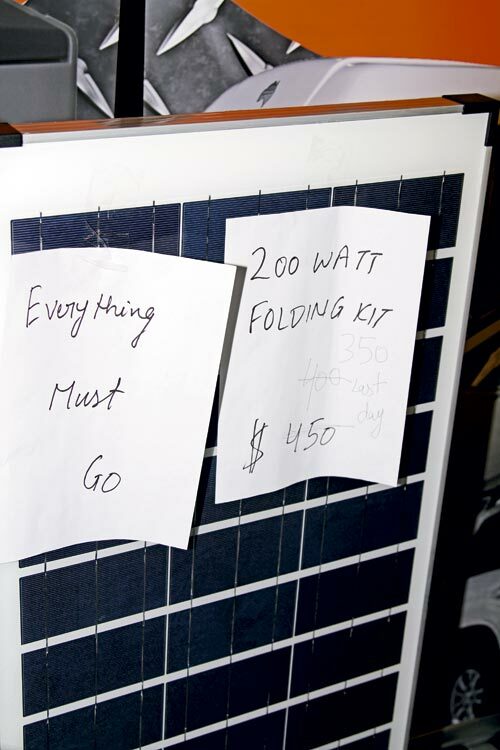 “There is no definitive price line above which you can say you will get a good-quality solar panel and below which you will be buying inferior products,” said Stuart. Jamie suggests that you purchase your solar panels from a knowledgeable reseller who stocks a wide range of solar-related products. 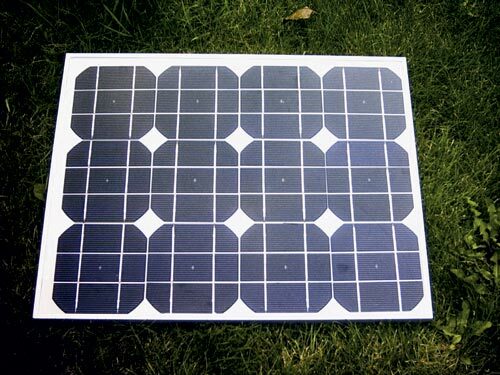 There are three basic types of solar cell and each has its advantages and disadvantages. Often it will be the intended use or location that will dictate your preferred choice. > Amorphous: A thin, flexible solar film. Amorphous panels tend to be large for the wattage output but can perform under shade and will capture angled light more efficiently. The panels are the most expensive per watt of output but they are light and can be applied to soft substrates such as a fold-up plastic sheet. > Mono-crystalline: Comprising black or dark blue cells placed under glass and encased in a frame. 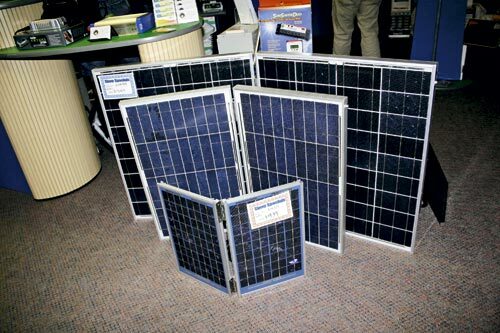 The mono-crystalline panels were once a lot dearer than other crystalline forms due to way in which the silicon is ‘grown’. Quality mono-crystalline cells have a high peak efficiency. > Poly- and multi-crystalline: Comprising square cells that either look like blue shattered glass or have a blue galvanised steel appearance. 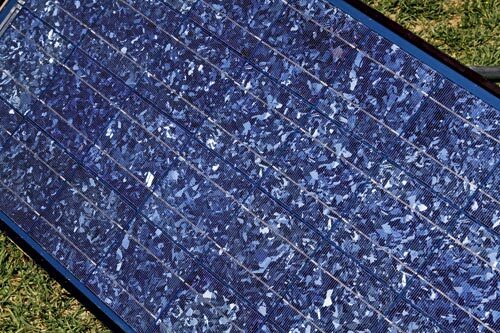 Multi-crystalline panels have a lower efficiency compared to mono styles but as the multi-crystals face all directions they will pick up light for longer periods during the day. 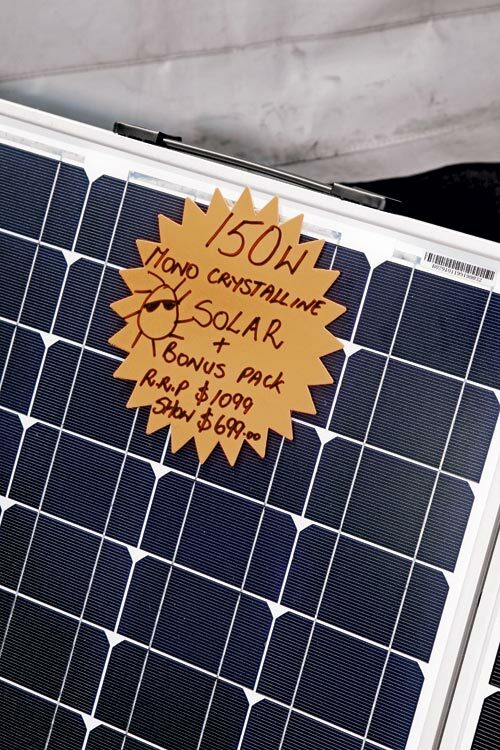 The multi-crystalline panel also performs consistently on hot days as heat dissipates through the gaps in the crystals. Originally published in Camper Trailer Australia #63, March/April 2013.